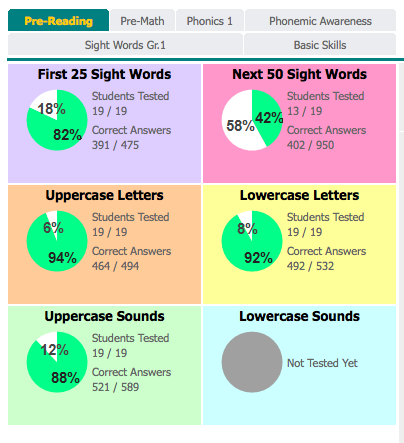 The Polished Teacher: ESGI - Can't Teach Without It! As a first year teacher, I had a general idea what I was getting myself into going into the classroom. Teaching the alphabet and counting to 100. Navigating the troubles of lost glue stick caps and tattle tales. Lesson planning and grading. What I wasn't aware of, was just how many hours I would spend testing and not teaching. It got so bad that some weeks I felt like I did nothing but test all day every day. I knew I was missing out and so did my little ones. My kinder kids were only five years old and deserved to have as much fun with hands on learning activities and not doing meaningless worksheets while I spent hours testing students one on on with a mess of flash cards and assessment papers to sort through. Doing what teachers do best, I spent my "free time" after school searching Pinterest and reading teacher blogs. 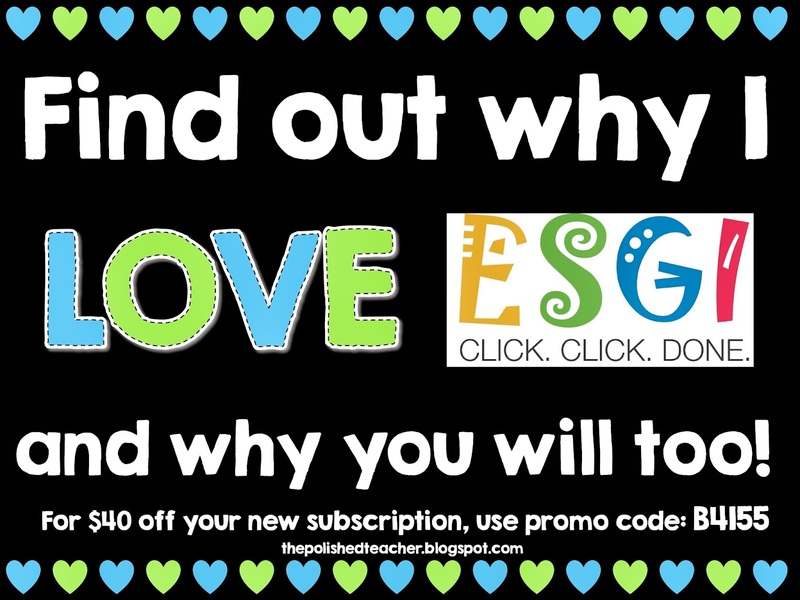 I stumbled upon a review of a site called ESGI and the tagline promoted saving 400 hours over the course of the year. Doing a quick bit of math, I was appalled. In my school, 400 hours is the equivalent of 67 full days of teaching. 67 full days. Let that sink in for a moment. That is over a third of the year. What could you do if you had 67 extra days teaching your students? Imagine the possibilities! Enough said. ESGI had me hook, line, and sinker! Well, now that I have hopefully piqued your interest, let me explain some of my favorite features as well as give you a deal that will save you $40 along with your 400 hours. Perhaps my favorite feature is that ESGI does the work for you. Their logo says Click. Click. Done. and it is literally as simple as that. 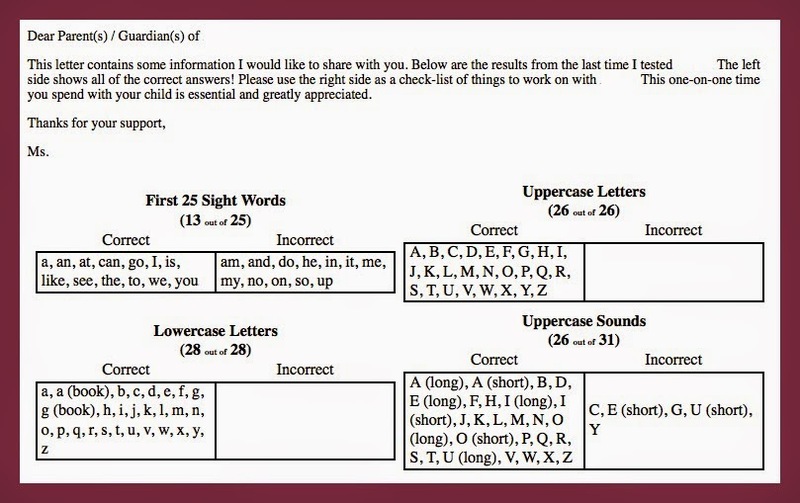 Sick of sorting through flash cards and papers to make sure you have the right set for each child? They save each child's data so you only test what you need and it is just a click away when you need it. All I have to do is hit the left or right arrow on my keyboard and it records all my data without ever having to lift a pen. Constantly graphing the percent of students meeting each skill to show your administration? No graph making for you! The graphs automatically update as each child is assessed. Your principal will LOVE being able to see all your data in one place constantly being updated. Need a parent letter documenting a child's progress and things to work on at home? You don't even have to touch the keyboard. They have you covered! Just print and you are good to go! So you've told the parents what to work on at home but they don't have any materials to do so? Obviously ESGI has your back! Look no further than customized and dated flash cards for each child! Spending hours analyzing all your different test scores trying to figure out what topic is least known that you need to review? Well it is already done in a handy little graph for each topic before you even realize you need it. Can't quite remember if you tested all your students with absences and pull-outs? 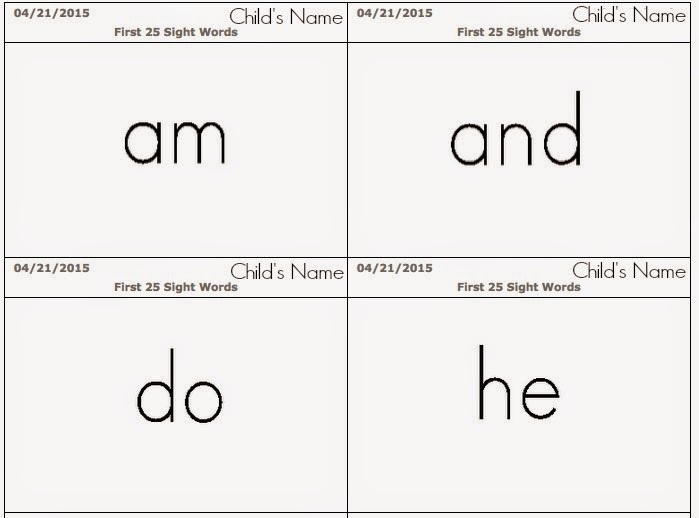 A chart listing each child's name and every test you have created shows up highlighting the ones still yet to test. 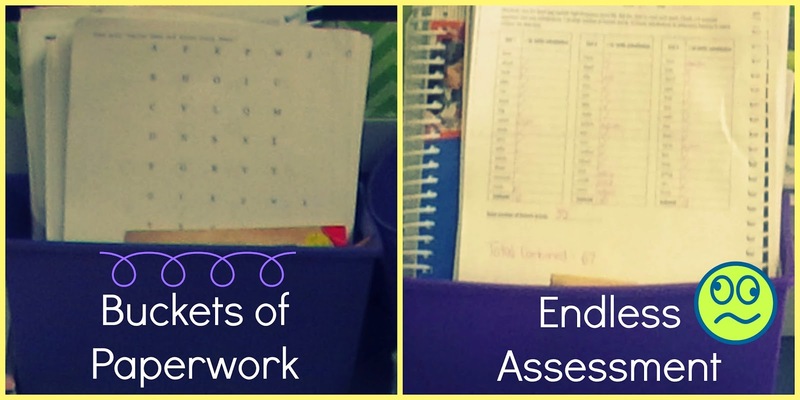 No more forgetting to assess a child because you forgot to add it to a post-it note. Now I know what you might be thinking. Well, it sounds great and all, but I have a very specific set of assessments that I am required to do so this site can't possibly help. Wrong! ESGI is 100% customizable so you can make it exactly suit your teaching needs. 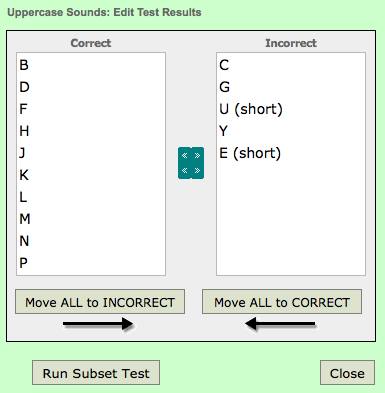 In addition to the over 200 assessments they have built in, there is a text explorer that allows you to create all your own tests and even share them with other teachers in your school or across your district! 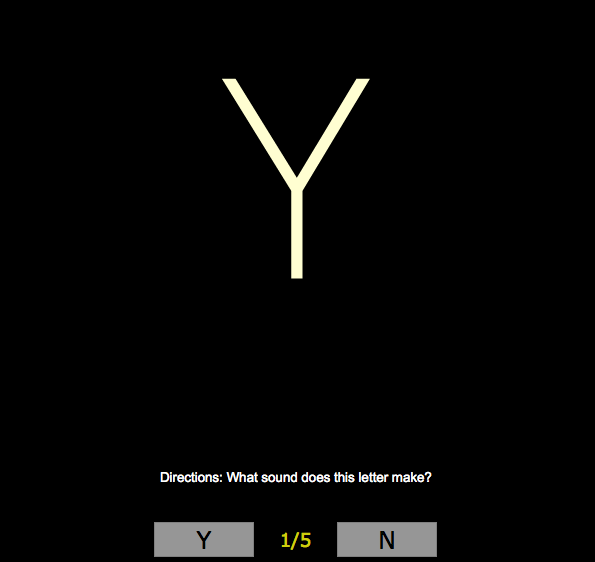 I kept the generic pre-loaded tests that aligned with my needs like letter names and sounds to save as much time as possible. However, in one quick afternoon, I was able to completely customize and enter in all my district's personalized assessments. The best part, once they are done, they are saved forever (even if your account expires) and you never have to re-create the system. Now, not everyone is super tech savvy, and ESGI has the best customer support library to help! 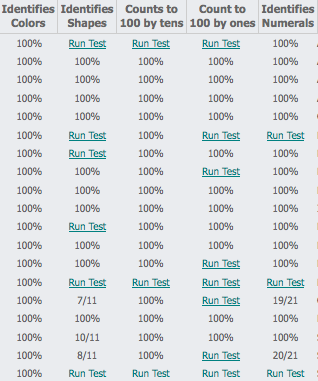 They have webinar videos that walk you through each and every single step to create your own tests. 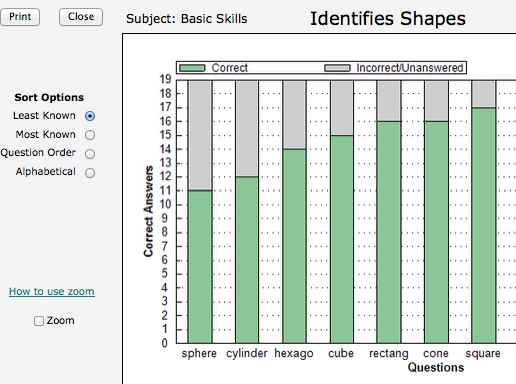 Here is a little screenshot from one of the videos that I watched when creating my own tests. They have a custom library with hundreds of items, shapes, colors, you name it! No test is too big or too small a job that ESGI can't handle! Now seriously, this all sounds too good to be true! I know! I never could have imagined I would find a resource this unbelievably lifesaving as a first year teacher. All I can say is I am so fortunate to have found it my first year teaching. Now I never have to live without it! For all you veteran teachers out there, it is not too late to join the party! 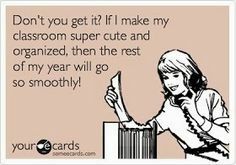 Don't go another year suffering through the never ending assessment paper trail! Whatever you do, don't delay on this invaluable resource! They offer a free 60 day trial to test it out and see if it is worth making the investment. All I can say is you won't need more than a week to realize if you could only have one resource for the year, this would be the must have. 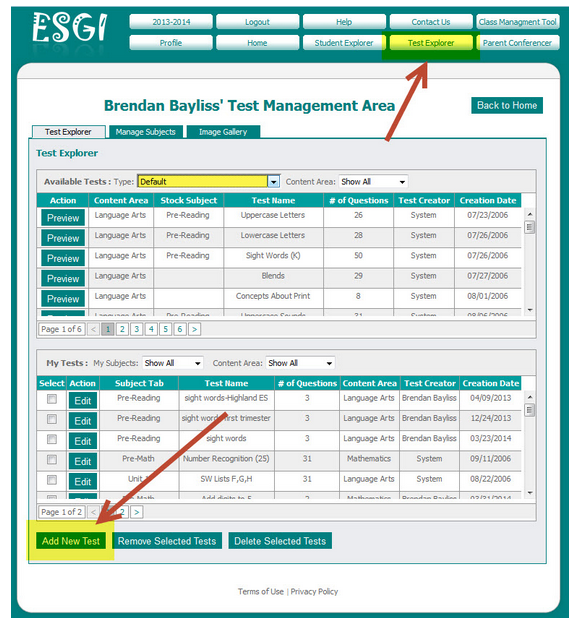 Try ESGI out for this last round of end of year assessments. The 60 day trial will take you to June which will be more than enough time to test out the program, get your assessments loaded and do everything you can to get your administration to pay for this resource for the upcoming school year. If you are a new customer to ESGI you can save $40 off the regular yearly price of $199 making a year of hassle-free assessment only $159! A true steal when you consider adding up the price of all those coffee's you drink to keep you functioning during the never ending assessment periods. Just use the promo code: B4155 to save today! Here's to a hassle-free end of the year assessment thanks to ESGI!